We have been looking at bikes for the kids for awhile. Robert needed a 14" bike - an impossible size to find outside of Toys R Us. Seriously, we've been looking for I think over a year - well before Mikaela could even figure out how to pedal a tricycle! Last night after the curriculum fair, I was exhausted. It was all I could do to stay awake to finish my work. When I was done, I went over to check my email and saw an email from Toys R Us with the subject, "Deal of the Day! 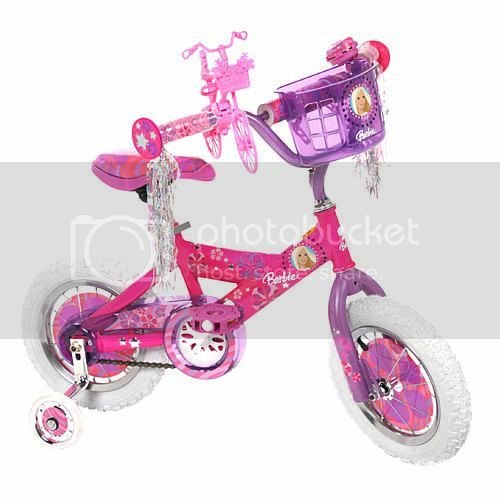 Save 25% on ALL Bikes, Sun., March 14th!‏"
Now, I've spent a LOT of time in the car the last few days - I really wasn't looking forward to another long trip to try to find a bike. But I also knew it was the only place to find the elusive 14" bikes, I wasn't going to find a much better deal than 25% off, and as the weather has been getting nicer... we have been wanting to go out biking as a family. So, I called TRU after church, they did have a 14" bike in stock we were interested in, and we headed out. We put R on the bike and the bike specialist told us to move up to a 16" :/ He explained that while the 14" might fit him very well right now, at 5 he'll be growing more soon and outgrowing the bike within an inch or so. Plus, 14" bikes are not common and you'll pay out the nose for it. 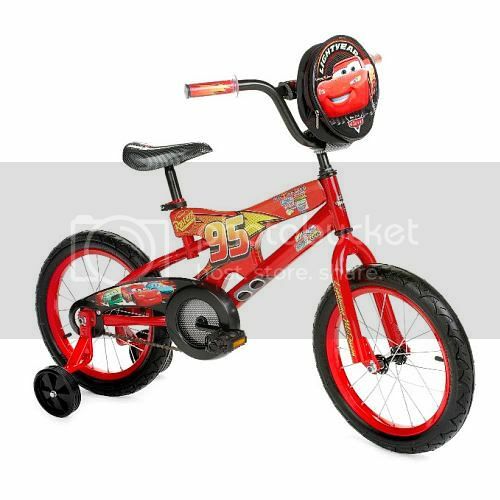 He was right - the bike we settled on for Robert before we got there was $20 more than the one he got - with a licensed character and a few little extras compared to the plain one (I can't find online).